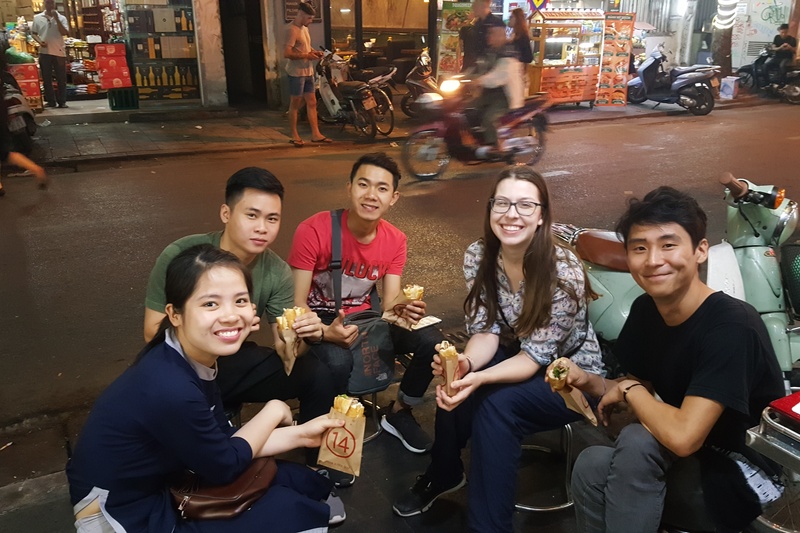 Hanoi night-life is completely different from day-life, If you are a foodie and you want to beat the heat of the day and experience blast night life of Hanoi and tasting the best food of the day, this is definitely the tour for you. 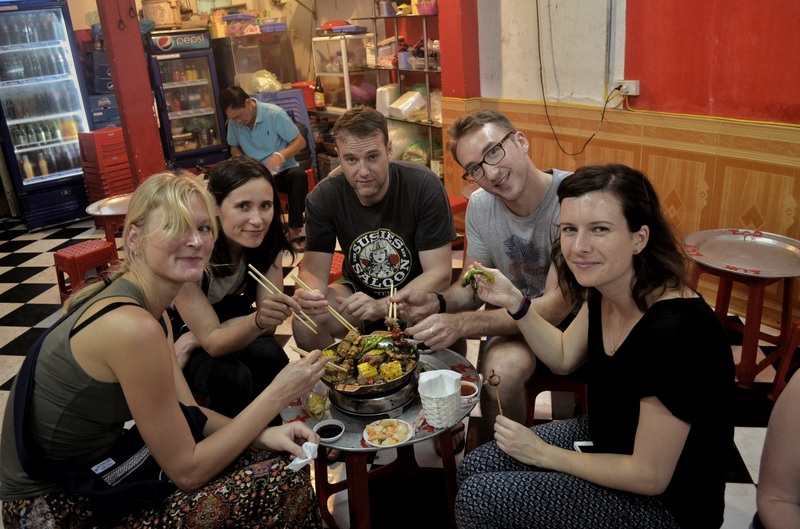 This tour is a fun way to experience the sights, smells and tastes of Hanoi. 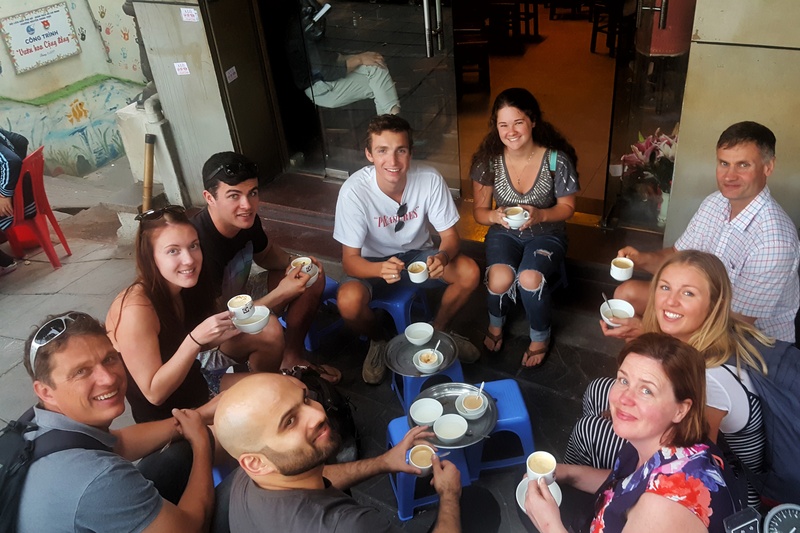 And definitely, the best way to see and learn about the real Hanoi not just the tourist run-off-the-mill tourist sites. 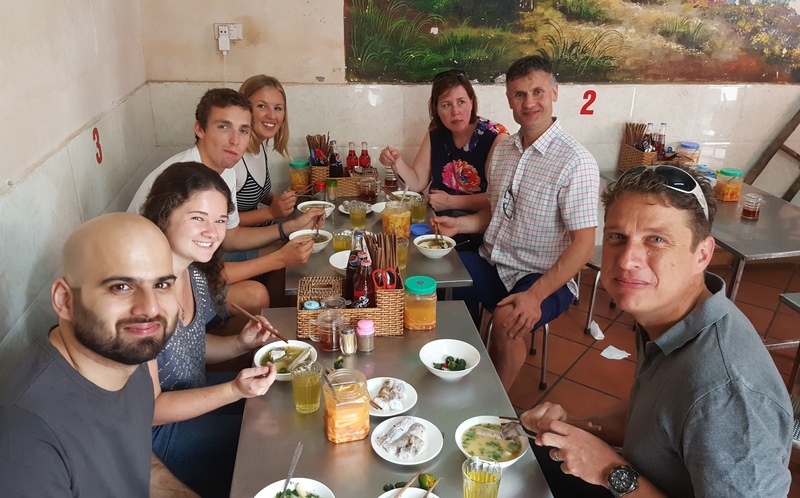 We would journey you to so many parts of Hanoi that you would not otherwise see and even imagine about, from the maze of zigzagging backstreets, hectic traffic, old French boulevards, and witnessing some special nightly activities of the city as well as tasting the most delicious dishes of the delicious dishes that Hanoi offers you. Also, we pass by some famous city’s landmarks that are sparkling at night time. Included: Pick up and drop off, Vintage Minsk motorbike, experienced driver, helmet, rain poncho, English speaking guide, cold water and tissue, local foods. All drivers are licensed and we provide local travel insurance, but we also recommend that you have your own, entrance fees. 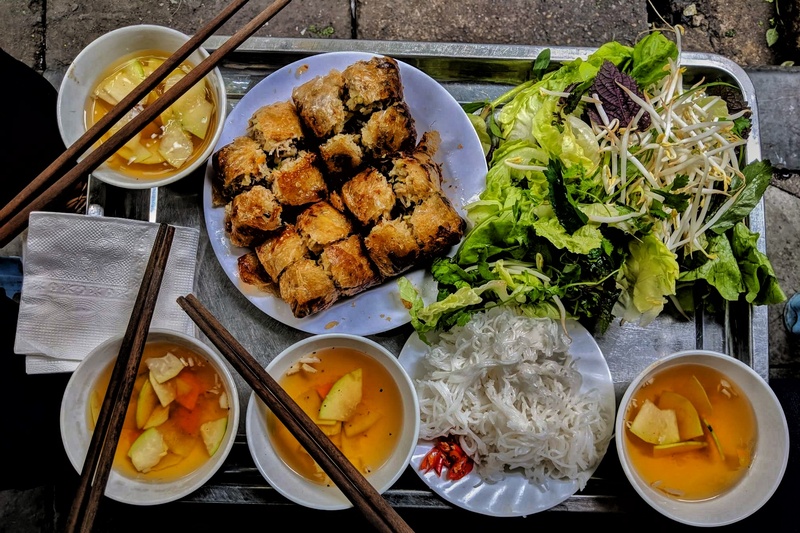 Our half day trip is systematically divided into three parts: Exploring Hanoi Parts-unknown, Hanoi Parts-Classic Romance & City’s highlights and Hanoi Food Culture Experiences. 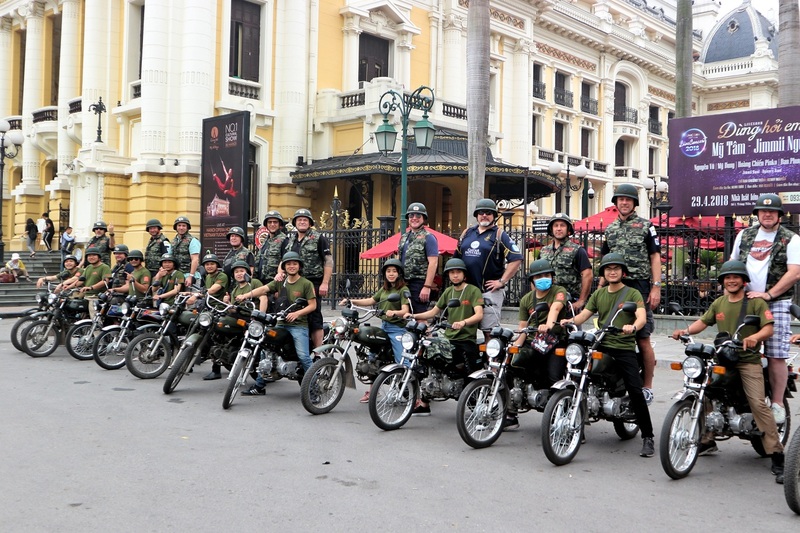 Diving into the rivers of motorbikes and Hanoi street symphony. Experiencing the GOOD, the BAD and the WEIRDof the city as it is what it is. Experiencing different slides of life behind the scene, the hidden part of the iceberg, the parts unknown. Meeting people where they live, work, learn and pray. Builiding personal connections and culture exchanges. Riding through the chronology of time in Hanoi from the thousands year old parts to the modern parts of the city. Cruising around theenchanting French Colonial Quarter, vibrant Hanoi Old Quater . Passing bythe must-see highlights of Hanoi such as Ho Chi Minh mausoleum, Presedential palace, Ba Dinh square, Temple of literature, Tran Quoc temple, West lake, Truc Bach lake, Hoan Kiem lake, Opera House, Saint Joseph cathedral and train tracks. Watching the national flag lowering ceremony and nightly marching at Ba Dinh Square. Waiting to see the train ride past the through the world most narrow train track. 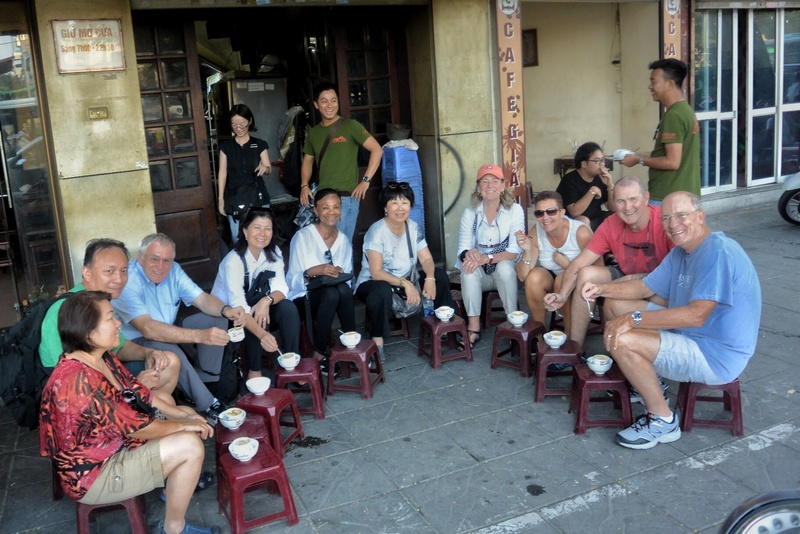 Taking our tour, you would embrace opportunities to explore Hanoi through highway & byway. We expose you the REAL HANOI with a day in the life experiences, featured with the parts-unknown of the city with slices of life in the maze of backstreets, tiny alleyways, local homes, schools, random markets and black market, experiencing where & how locals live, work and play. Other travel companies show you the beautiful of your destinations and tell you to run away from the bad and the weird. 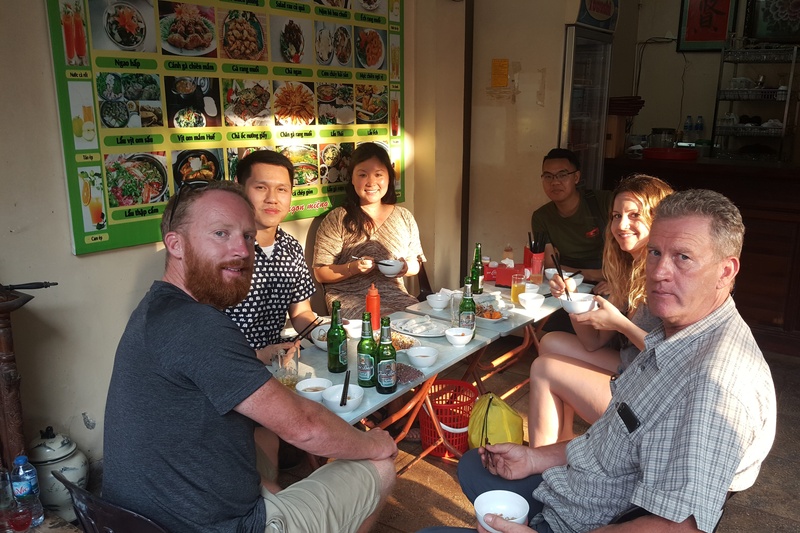 On Hanoi Backstreet Tours’ journeys, not only do we show you the good but we also expose the bad and the weird of your destinations as it is what it is. For us, the run-off-the mill tourist sites are only the tip of the iceberg, the majority of your destinations remains hidden in the parts-unknown. Also, we pass by & stop at the MUST-SEEE places of our beautiful city such as Ho Chi Minh mausoleum-the Mecca of Vietnamese, The 1000 year-old Buddhist and Toasist temples of Tran Quoc, temple of Literature, the historical training track, the enchanting French Quarter, The hustling & bustling Old Quarter, the romantic lakes of Hoan Kiem, West lake , Hanoi Opera House & famous Long Bien bridge etc. 100% refund, if you have any reasons for NOT enjoying our trip, you will not have to pay for it. Experiencing the real-deals of the place,featured with the Good, the Bad and the Weird. Travelling with all your senses heightened watching, tasting, smelling, touching and hearing. Suite 103, No.33 Pham Ngu Lao Str.